Posted on July 27, 2018 by Tish Farrell	This entry was posted in allotments, Natural History and tagged butterflies, moths, Pete Hillmans Nature Photography, Shropshire, Tish Farrell Writer. Bookmark the permalink. Looks like a Hummingbird Hawk-moth. Pete or Brian should confirm for you. That’s exactly what it did look like, Ark – a hummingbird. I wasn’t sure we had them in the UK though. Brian did a set of superb photos. Thanks, Ark. Those are very stunning pics over at Brian’s. In case you miss the comment as it went into moderation because of a link. Probably a Hummingbird Hawk Moth. these are beautiful captures, tish. isn’t it lucky that we have the opportunity to share and learn from others all around the globe? 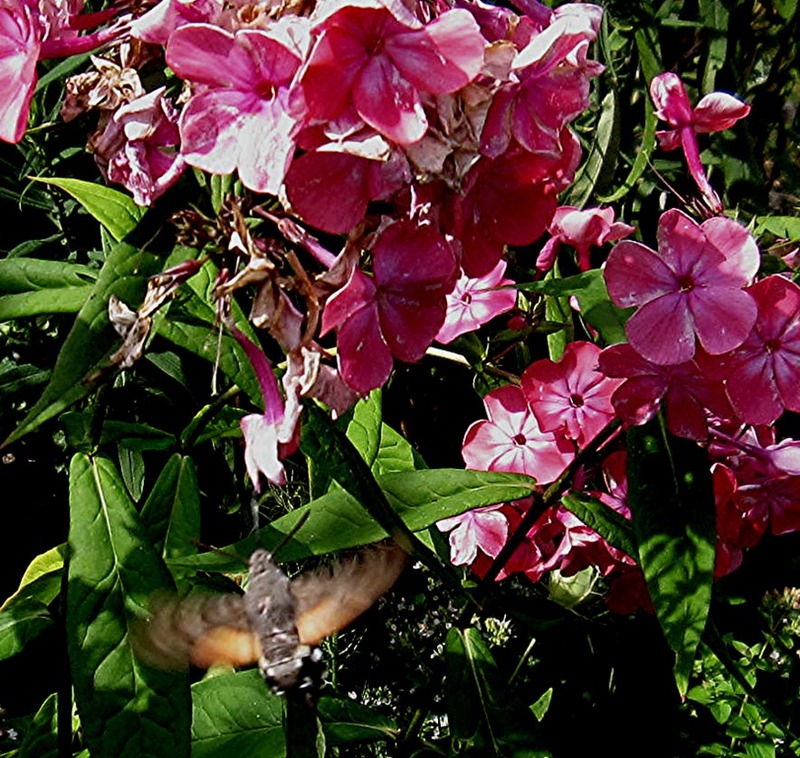 I’ve got photos of the hummingbird moths, too, Tish, as they tend to visit our butterfly bush. They are amazing. I’d never seen one before. We have hawkmoths here, too, in the US, and yes, they can be unnerving when they hover at you. I’ve never been able to get even a blurry image of one, so just getting the photo is impressive…ours go for the bergamot and the oregano, which is a total escape in the garden, now. Hi Judy. 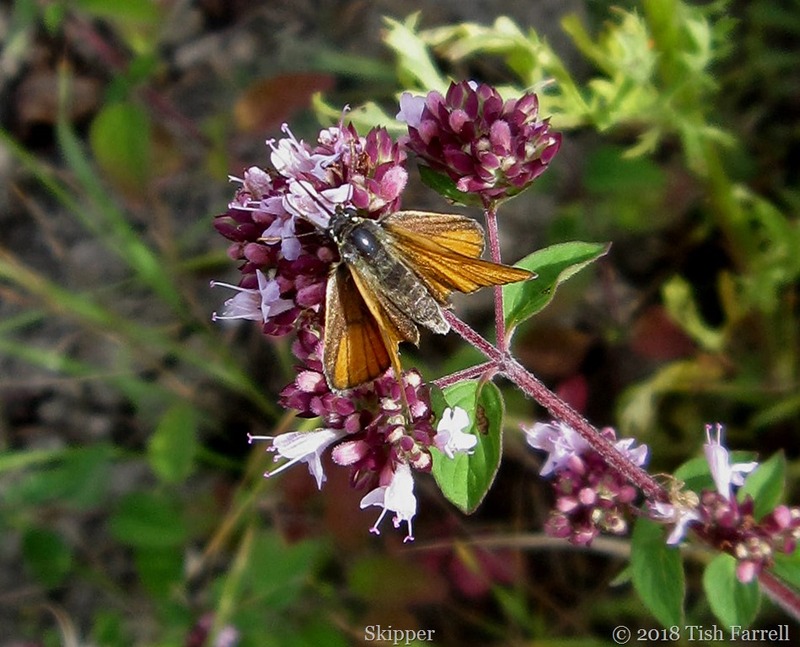 Oregano does seem to be the big attraction for insects of all sorts. I’m glad I’ve let mine escape all over the place too. 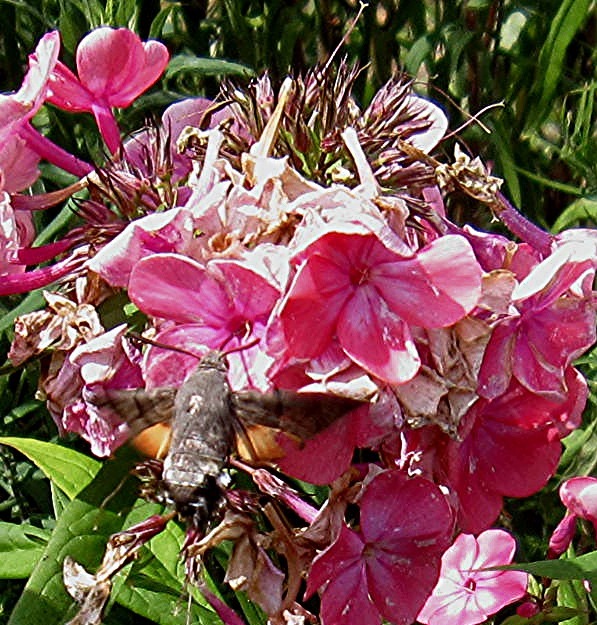 Hi Tish yes a Hummingbird Hawk Moth, tricky to photograph aren’t they! But very beautiful, it’s coming to the time of the year we should see a few more. 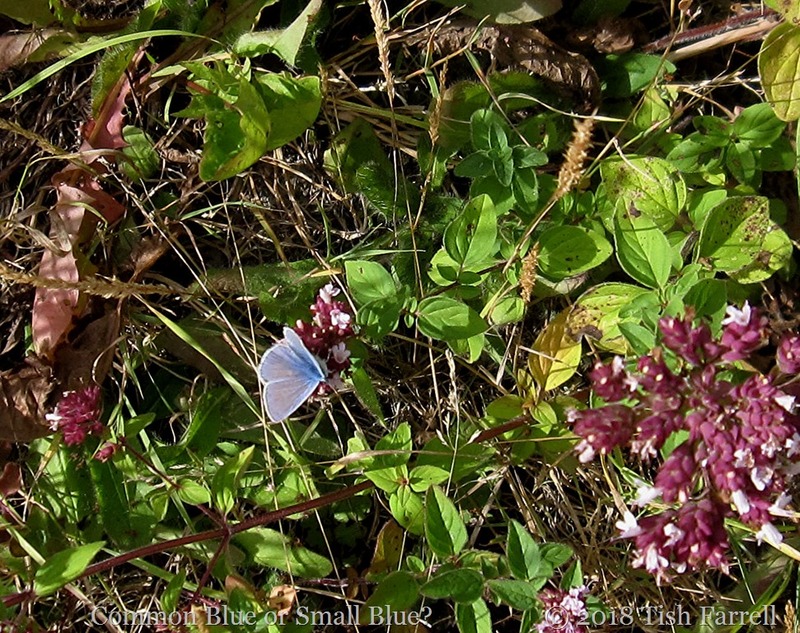 The blue butterfly is Common Blue, something I never get in my garden! Regards Brian. Thanks very much, Brian. For both IDs. The common blue seems to like the allotment. I don’t see it anywhere else very much. I know how hard it is to capture any insect in mid flight. 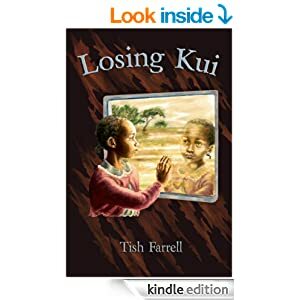 You did a fine job, Tish. Also this is the first day that my own Internet connection is working again. Hummingbird hawk moths are renowned for being high speed whizzers -it’s a good year for the fragile winged ones in terms of the hot and dry but double edged as the drought is a big threat. Is there plenty of water on your allotment or are you down to the last waterhole? Flies on the other hand will still be here after the next Big Bang and are doing a roaring trade in reproduction -have just come back from Suffolk where fly papers abound – sticky non-insecticidal traps now rather than DDT and other nerve agents that we used to spray around as children! Hello Laura. Happy birthday! And happy new blog. I must high speed whizz over there. I forgot earlier. And as to flies – a curse on them. Much ducking and diving, cursing and swatting in the Sheinton St kitchen. We do have water on tap at the allotment but it means hauling it about. Will have Popeye sized arm muscles by the end of this heat wave – and all without the spinach which went to seed long ago. thank you for making me laugh out loud and for your good wishes and support. It looks and feels storm-imminent here, but so far no nice soothing little droplets. No moon here either, and only a smidgeon of rain. Downpour promised for tomorrow though. Happy Saturday! The Red Arrows just made it across the skies at the Sunderland Air Show before it hit! Raining again now 😦 But I’m happy! Between Garry recovering and some really noxious weather — heat, high humidity, and pouring rain between the hot humid days — I have barely been outside. I’m glad someone is getting outside. I feel like I’m missing the summer. I kind of knew I would, so I guess I shouldn’t be so surprised. The sense of missing summer seems to go with all the other feelings of things being out of kilter. Even though I’m out and about somewhat, the heat is making me think I’m being confined. Or something of the sort. Things just aren’t right, are they! But at least Garry will be able to hear, which is a huge benefit. I once had one on Verbena bonariensis and it was incredible! It was slightly intimidating! It reminded me of one of those fighter jets that lifts off the ground vertically. That’s exactly how I described it to G. A harrier jump jet of an insect. It definitely looks like a hummingbird moth. We got a very large moth inside the house last night, dive-bombing all around the lounge. Eventually by switching all the lights off we persuaded it back into the conservatory, which reminds me I need to have a look and see if it is still there! I’m amazed how few moths we’ve had in the house despite having the windows open all night for the past 2 months. I wonder what yours was. Perhaps another kind of hawk moth. I close all the windows before switching lights on! Too many ‘things’ out there! And then open them once I am in bed. You would if you lived next to a farm. Looks like they got to first,Tish! I love this moth, but don’t see it very often here. Hi Pete. Yes had lots of IDs. Thanks anyway. I’ve seen quite a few different ones this year but I’m not quick enough to catch them!